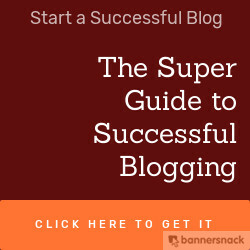 There are hundreds of millions of bloggers around the world who blog for all sorts of reasons. However, I am yet to come across a single blogger that does not want to increase traffic to their blog. How to achieve this is perhaps the most blogged about topic in the world. In fact, it is what you are reading right now. I am introducing to you what I call the 50:50 formula to blogging success. It simply entails dividing the amount of time you have dedicated to blogging into 2 equal parts- the first part is for you to research and post quality content that people would love to read and share with their friends. The second part is to engage in promotional activities for your blog. The list of such activities is almost endless; sharing your posts on social media like Facebook, Twitter, Google+, LinkedIn and many more. Guest blogging, commenting on other blogs, groups, forums and other places where you have large numbers of people that might be interested in your content. You should dedicate as much time between improving your ability to effectively promote your blog and creating fantastic content. If you do this, you would be helping yourself generate more traffic and exposure to your blog at little or no cost to you and in a relatively shorter time than if you just focused on one of these activities to the detriment of the other. Kindly share this post with your friends if you find it useful and interesting. I would also love to read your thoughts on it, do drop a comment. I have read article after article about increasing traffics to your blog. This is so simply put; it's perfect. Thanks for the tip!